I have one word for you.. Cheesecake. Cheesecake is one of my favorite desserts. A good cheesecake can be a difficult thing to come by when suffering from common allergens. These mini "cheese"cakes are completely dairy free, gluten free, soy free, and refined sugar free. They are no bake and require all prep-work. Fear not, you do not have to suffer from any allergies to enjoy these little cups of amazing. 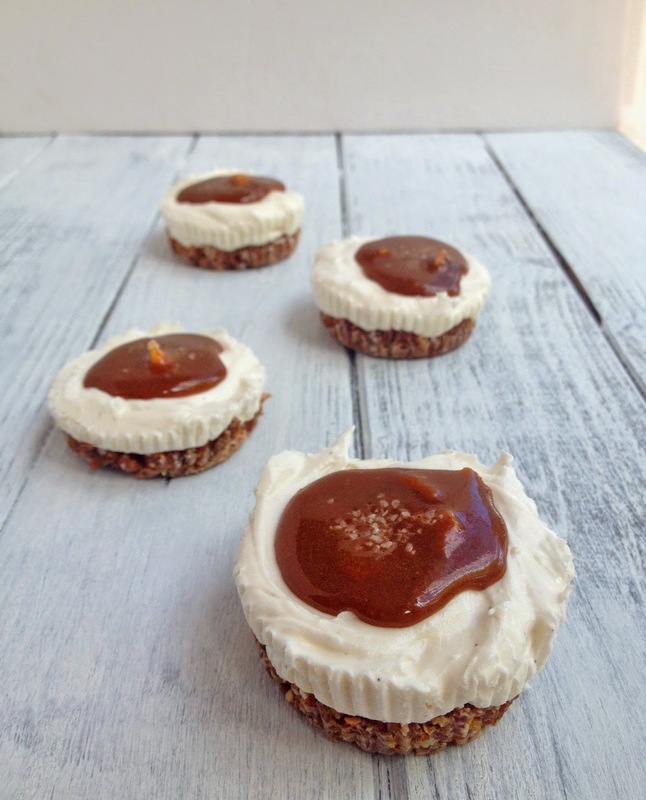 These little cheesecake cups are perfect for parties or for your own once a day indulgence. 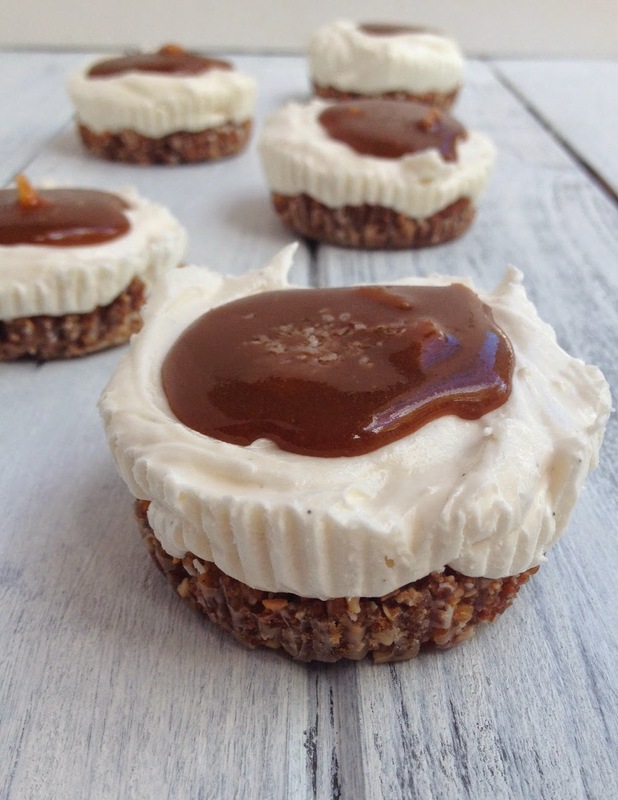 They are topped with my famous vegan caramel sauce(you will find the recipe on my blog very soon) and salt. Such a lovely combination! Please try these and let me know what you think! I'm sure you will love them just as much as I do. 1. Line a normal-sized muffin tin with 9 muffin liners. 2. Combine all ingredients to a food processor and pulse until mixture forms a ball. 3. Fill liners with an equal amount of the crust and press down into muffin liners until formed. 1. Start by softening coconut butter. I did this by placing the jar it came in into a medium sized bowl filled with hot water. Let soften for about 30 minutes. 3. Spoon filling onto crusts and refrigerate for about 30 minutes until solid.